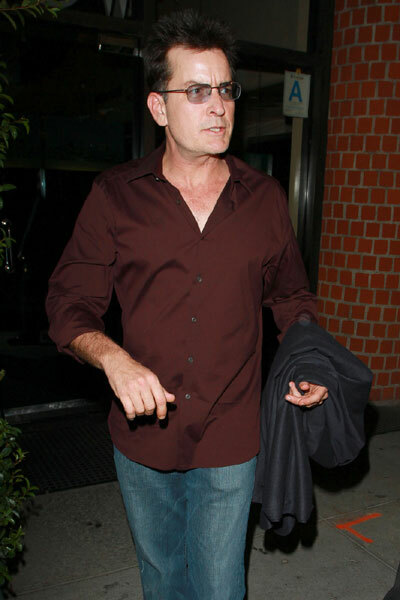 Charlie Sheen had a meltdown at his New York hotel room late Monday night/early Tuesday morning when he thought that the prostitute he was partying with had stolen his wallet. Little Charlie got so unruly and destructive that police were called and offered him the choice to go to the hospital or the station – naturally our hero, who is still on probation for his last drug induced fit, chose to go to the hospital. Charlie’s ex-wife Denise Richards was staying in a separate room at the time and chose to accompany him to the hospital where he tested positive for cocaine. Charlie was in New York to attend “Mary Poppins” with Denise and his children – “Mary Poppins” with the kids then cocaine and prostitutes to unwind – what a great Dad! What is amazing here is that it was the prostitute who called the authorities – I guess Charlie had her rather terrified by his temper tantrum. He certainly seems to be unable to hold his booze and drugs – he has a history of flipping out while on cocaine, crack, and alcohol – perhaps he should try staying sober. Apparently he sleeps at Promises for rehabilitation but then goes out and does anything he likes – meaning he takes anything he likes. Charlie’s rehabilitation attempts are merely window dressing to cover up his repeatedly breaking the law while under the influence of booze and drugs. He obviously has no interest or intention in becoming sober. Note that Charlie Sheen was an original customer of Hollywood Madam Heidi Fleiss.